MEMPHIS, Tenn. – February 8, 2010 – Saint Blues Guitar Workshop announced today the launch of the Woogie Board, the first production electric washboard in partnership with Cody Dickinson of the North Mississippi Allstars. Saint Blues and Cody have taken this home grown, roots instrument and made it a true gig-worthy instrument. It is handmade in Memphis from solid Mahogany, and finished with a hand-rubbed tung oil. The Woogie Board features enclosed dual-Piezo pickups, with a three-way switch for pickup selection, volume control knob, and a high quality output jack all housed in a tele control plate built into the leg. “The electric washboard is taking things to a whole new level. It’s never been done before, it’s completely unique, and there is tradition, so it kind of has all the makings of a juggernaut” says Cody. 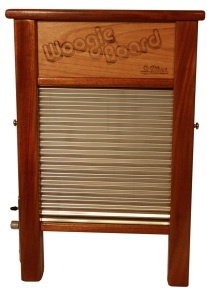 The sounds and effects the new Woogie Board can create outside of an amplified traditional washboard have to be heard to be believed. “When I plugged it into a wah-wah pedal and a delay, and realized it sounded like Jimmy Hendrix, it blew my mind. It’s psychedelic, it tickles that part of the brain.” Saint Blues and Cody are currently working on custom effect pedals designed for new players to create these sounds if they don’t already own these effects. 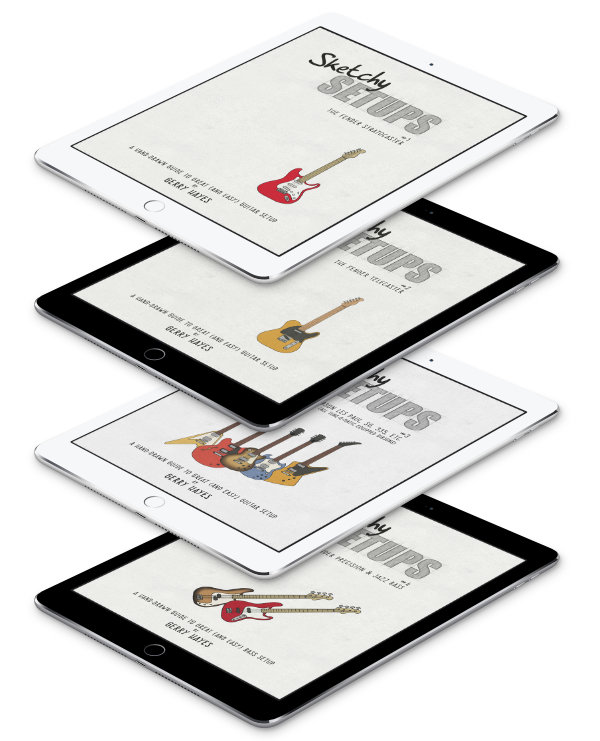 “To me, there’s something irresistible about taking a familiar instrument, and a familiar chord pattern or musical structure, and doing something just completely innovative with it, like Hendrix did. It gets harder and harder to do, but clearly the Woogie Board is doing it” said Jim Dickinson. 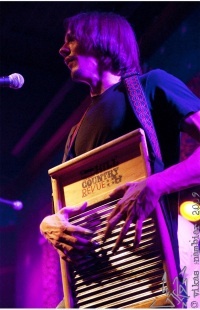 Here, have a look at Cody performing washboard psychoflip insanity.